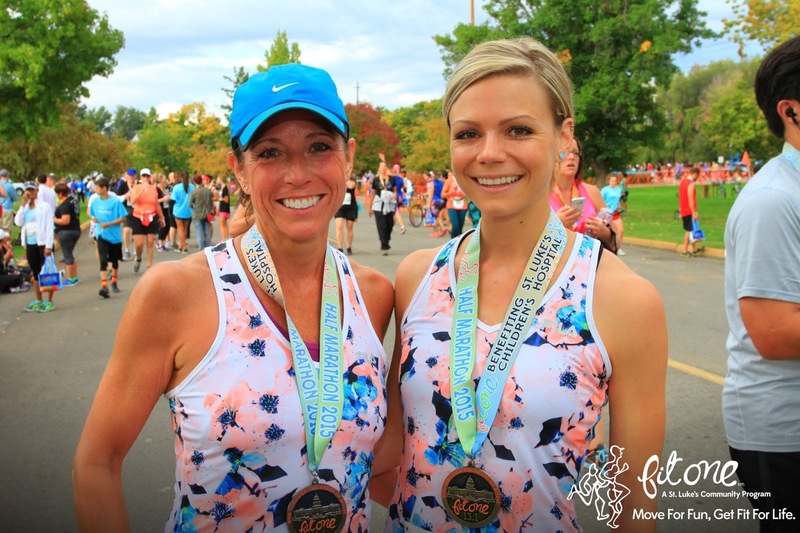 One week after the United States Air Force Half Marathon, I joined my mom and we ran the FitOne Half Marathon in Boise. This half was awesome because we didn't go into it to race it, we just wanted to run and have a good time. After all, not every race has to be a race! FitOne—which includes a two-day community expo, and 5K, 10K and half marathon races—is put on by St. Luke's, the hospital I work for, so it was so great to be part of this event. There were over 12,000 participants on race day, and thousands who came through the Expo. My mom and I had an awesome time at the race. 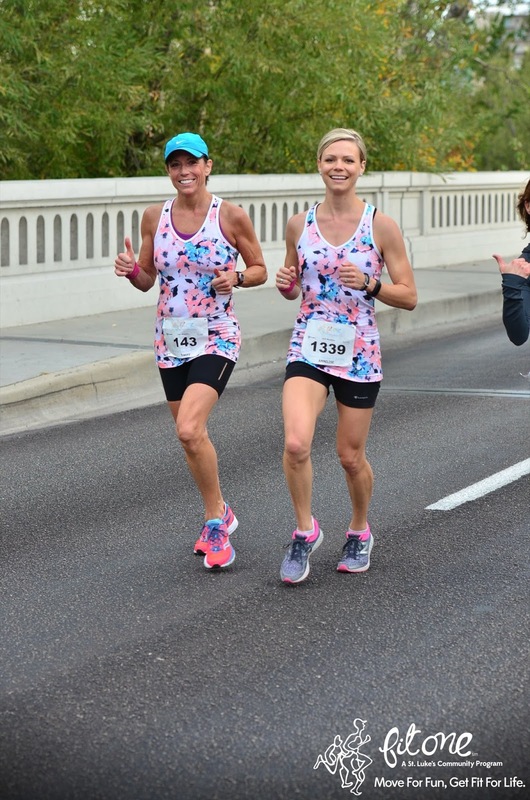 Though we've run four races this year, this is the first one that we've actually run together, and it's always so much more fun—especially when we're in matching outfits anyways—when we get to start and cross the finish line as a team. 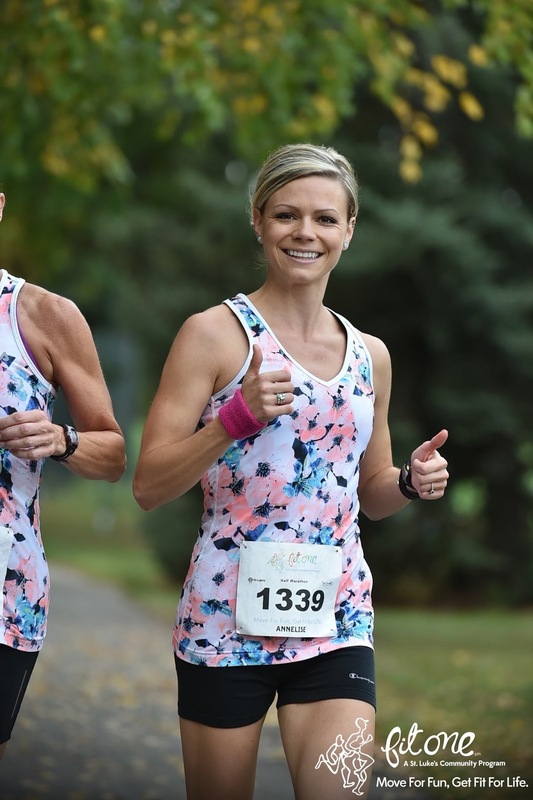 This event makes our 12th race we've finished as a mother/daughter matching duo. The entire race was great. We didn't have any aches and pains, got to people watch and make a couple new friends (shout out to reader Cindy who came up and introduced herself! ), and of course I talked my mom's ear off the whole time while keeping her right on pace at 8:00/mile. We also saw tons of people we knew throughout the whole race... it was literally like the entire community showed up for FitOne! We ended up finishing in 1:44:12, with an average of 7:58/mile, and while I didn't win any awards, this race wasn't about that for us. HOWEVER, we were pleasantly surprised to find out that my mom did end up placing 1st in her age group! She did awesome! 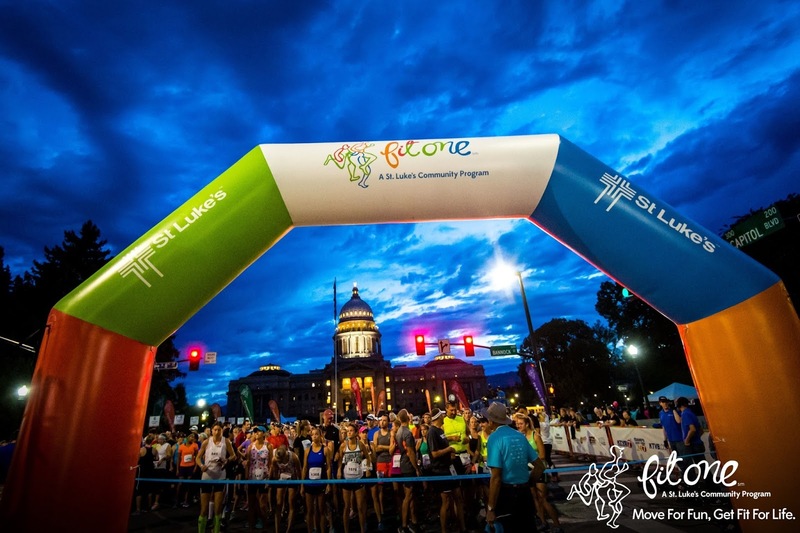 This race truly was about running together and embracing the true spirit and intention of FitOne—which aims to increase whole family health and fitness! Plus, how cool is it to share a hobby like this that we can both enjoy together? It's just too fun. See more photos of the race below! Our good family friends were in town and got to spend the weekend with us! This photo was from the FitOne Expo. 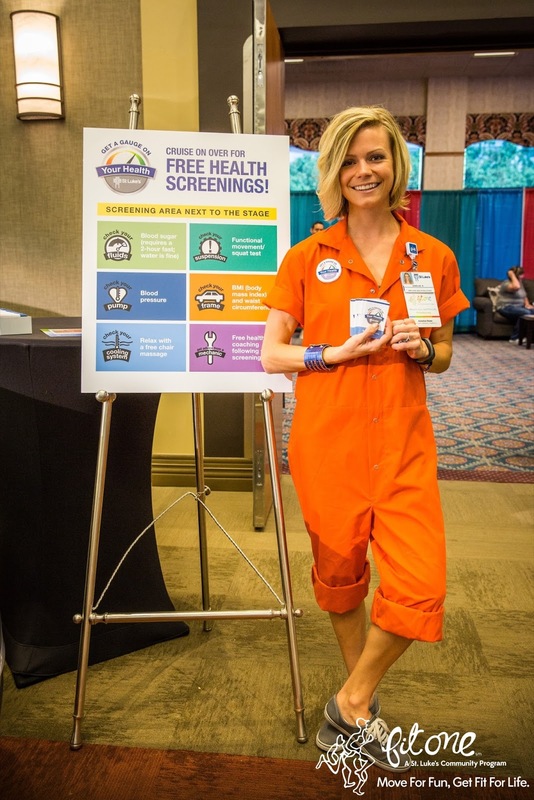 I was dressed in an orange "mechanic" jumpsuit, screening folks and "getting a gauge on people's health" as part of my job as a Wellness Coordinator for the hospital. 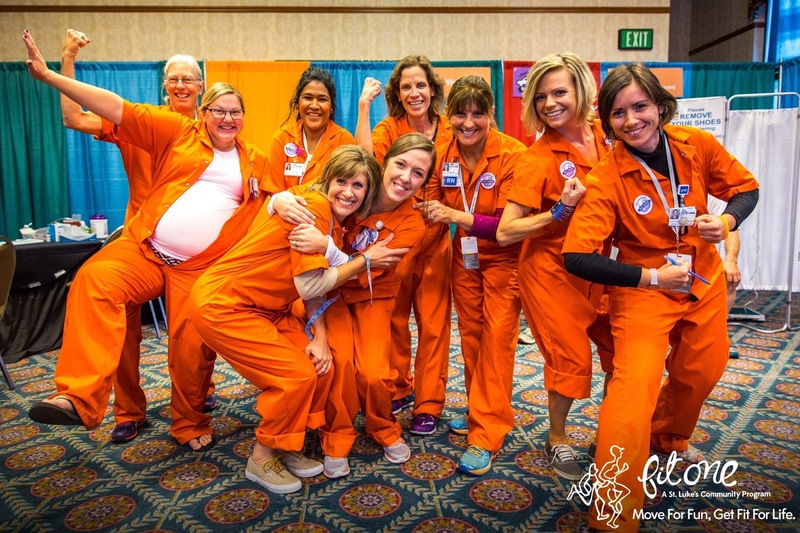 We offered full health screenings and all had on these rockin' jumpsuits! I'm an expert greeter! 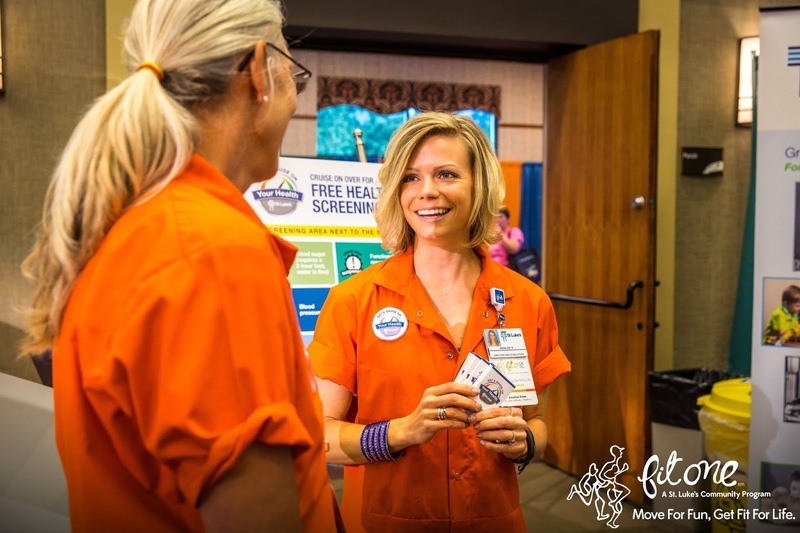 Come on in for a health screening! My amazing group (half of them, anyway) of colleagues. Before the race. We were literally matching everything! The capitol behind the start line. What a gorgeous morning! Getting social and meeting new friends at the start line. 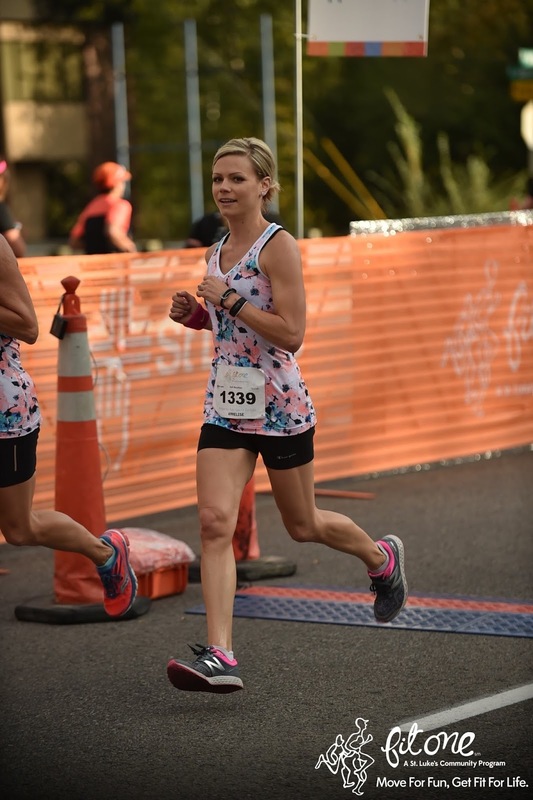 I love getting to know local runners and being able to encourage them! The girl in the Green Bay shirt won 2nd overall female. Yay for her! And we were off! So excited to be running! Feeling good during the run! The race was over so fast! I was ready for some FOOD! Immediately post race. So proud of my amazing mom! Showing off our medals in front of the finish line. We had a great race! While I got 7th in my age group, my mom was a superstar and finished 1st in hers. Way to go, Mom! Medals upon medals at the finish. This has got to be the biggest race in Idaho—and it was still smaller than the half I did last week! The post-race party was so nice. The weather could not have been better! The medals were awesome! Can't wait to hang mine on my race wall. My typical post-race pose with the finish line. I need to get that "I hate running" shirt because it's so not me! I don't know what it is about running, but it's like I'm constantly on a runner's high. I get to pray and connect to God while I run, I am able to enjoy this sport with my mom, it helps me stay in shape, it makes me feel good, it helps me justify the nachos, pizza, chips and ice cream, etc. that I am so known for eating in mass amounts, and really... it just makes me happy. I consider it such a blessing to be able to participate in running and races, whether I'm competing in them or just running them for fun, and that God has given me the ability to do it! I'm so happy I chose to run this race with my mom instead of competing in it. It truly was another great and memorable race that I was so happy to be able to share with my mom.